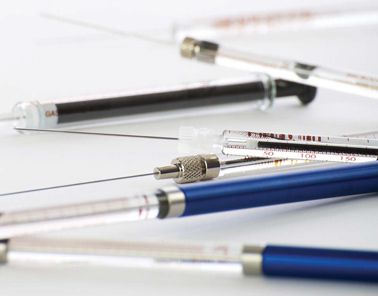 With Hamilton products, VDS optilab offers a wide variety of syringes for general liquid handling. Hamilton Company offers the most comprehensive selection of standard and custom syringes in the industry. Hamilton syringes are available in variety of configurations and volumes from 0.5 μL to 2 L. Each syringe is manufactured to achieve the highest level of accuracy and precision possible. Hamilton manufactures a complete range of syringes for partial loop filling, complete loop filling and reverse loop filling by the aspiration HPLC technique. Syringes for a complete range of GC applications, including: capillary and packed column methods, on-column and split/splitless injection techniques, use of Merlin Microseal™ and JADE injectors and headspace sampling protocols. At Hamilton you will find the ideal syringe for High Performance Liquid Chromatography (HPLC), Gas Chromatography (GC) or Thin Layer Chromatography (TLC). Hamilton HPLC Columns can also be found in this price list.